A reminder that the Reed CC’s Howard Marshall Pavilion is open for business every Wednesday evening from 1930hrs onwards. Come and have a chat, put the world to rights, watch soccer on the TV, throw a dart or two (or three! 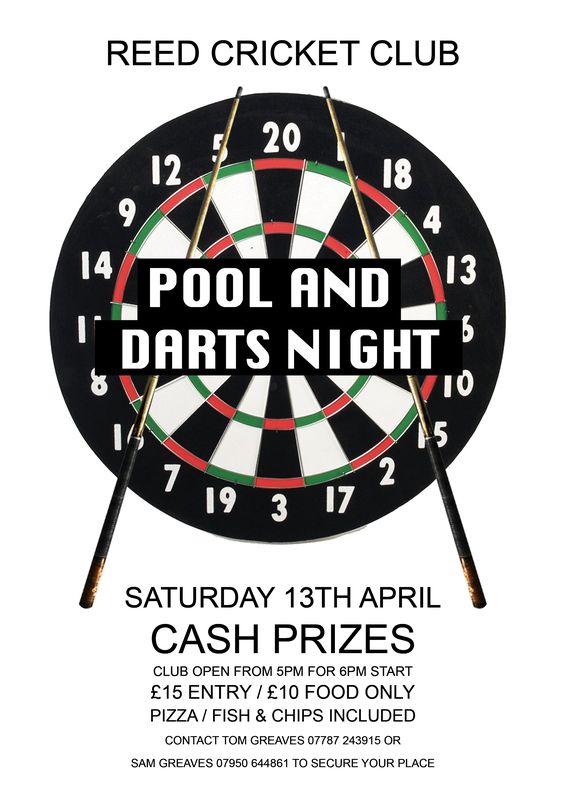 ), play pool or simply enjoy the comfortable surroundings in the lounge bar. Bottled beers, lagers and ciders are on sale at “winter prices” (meaning cheaper than normal); plus soft drinks and nibbles, such as crisps and peanuts, some, (I am reliably informed), at even further reduced prices. Every Wednesday evening through to April – when the cricket should begin outdoors with some friendlies (and beer prices go up)! 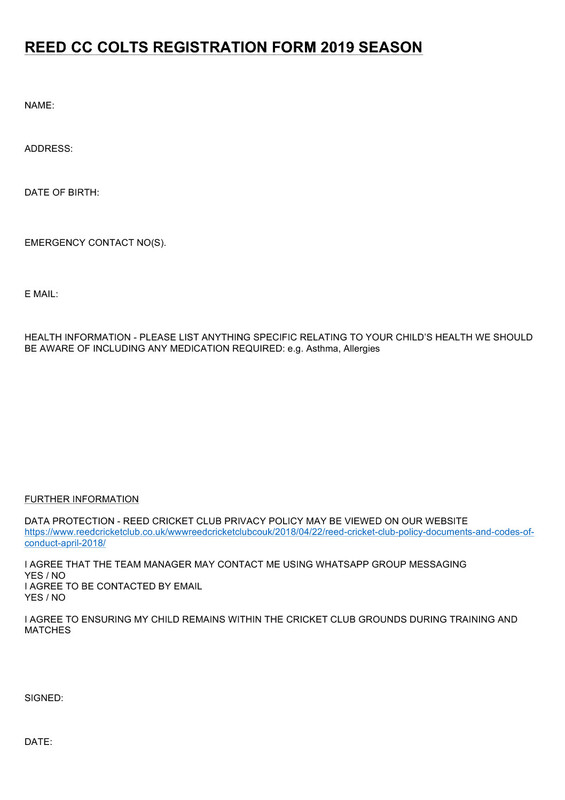 Fixtures will be added to the website calendar in the coming month once start times are agreed at the League’s AGM and after the Village Cup draw which is expected in February. Click on “View All Events” on the right of this page then choose the months you want to look at. 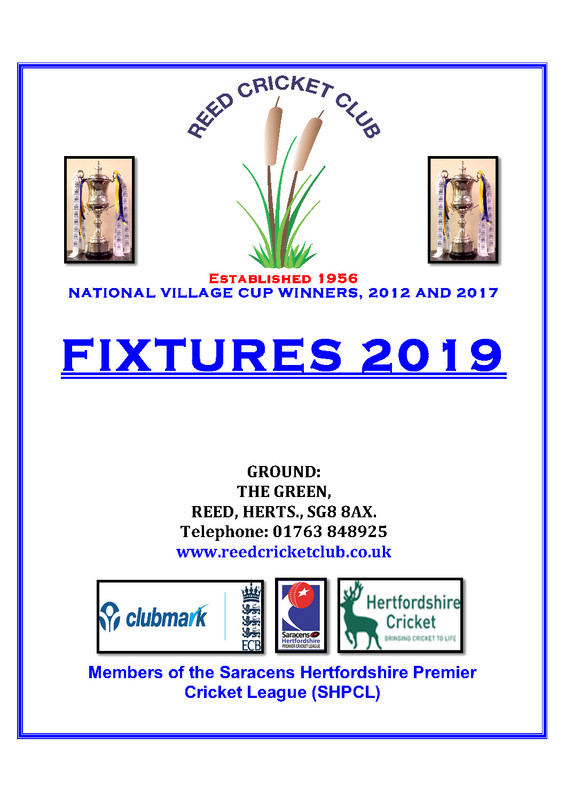 Friendlies will begin on 20th April, the 1st Round of the Village Cup on 28th April, then the Herts League on Saturday the 11th May. The season will end in September.